That angle is killing me how light is he? YES YES YES. All of this please!! I'm afraid this isn't the best idea... I think it's just more convenient to design all the photobook digitally, in a pdf format I mean. And as @Hydroblade said, making a template for the pages. If someone wants to include a handwritten message or a drawing, they should scan it. Then the satellites who have Photoshop/photo editing skills should compile all the photos and messages in order to design the book. Also I think that the "one page per person" idea would be a bit too limiting. In my opinion, if a fan wants to send only a short message they should be able to. It might also be cool to separate the pages by sections, for instance, the first 10 pages, personal fan photos with short messages; next 5 pages, fanart; the following pages "Without Yuzu I wouldn't have _____" messages, etc. In my opinion, let Yuzu fans enjoy every opportunity they get to watch him perform live... It might be a once-in-a-lifetime amazing experience. There's no need to organize such a boycott... Just wait until he retires, the ticket sales will drop naturally and then they'll realize. No, I do not think he should always win no matter what. This is the first time I ever argue that Yuzu was robbed of a medal. "Nathan had excellent skates" I don't think so at all. We have very different definitions of excellence... It is a fact that Chen only won because of his inflated PCs and especially his overscored GOE. BTW PCs aren't supposed to be a subjective score, it's not about "being the better artist". The popped Salchow is completely irrelevant. Even if he had landed it he'd still have a silver. I don't like using the word "brainwashed" but that's all I can think about when I read you say Nathan has a "tremendous technical arsenal". Like I mentioned in my previous post, Chen's BV was only 4pts higher in the FS. And do you know that GOE is also a part of the TES? On a fair system, Yuzu should win the highest TES based on GOE. I'm genuinely baffled that even Yuzuru fans don't see anything wrong with the fact that a clean Yuzu would've lost to a skater who barely deserves any +GOE on his jumps and who didn't have a much higher BV. 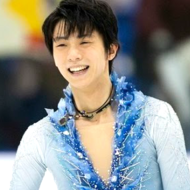 Also please never compare 2012 Yuzuru to current Nathan again... When he turned senior, Yuzuru had to build his way up and fight for every single point, no one gifted him +94 PCs and +3 GOE just for having the highest BV. No one is bullying Nathan, he's a very nice person but he's not a victim, he's the one benefitting from this rigged judging system. I just came back from college so let me elaborate on my photobook idea. I'd like it to include fanarts of course, there are many talented people in our fandom. Also, pictures that show that we support him from every corner of the world. And especially I think it would be cool if each of us could write down the impact that knowing and loving Yuzu has had in our lives. For instance, I know that many people have started studying Japanese and/or practicing skating thanks to him. 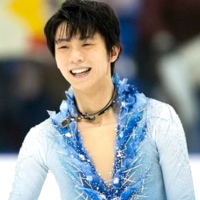 Personally, Yuzu has helped me grow a lot in terms of dealing with my anxiety and my nerves in an effective way. Even though I don't do sports at all, his mental strength has been really inspiring to me in other aspects of my life. Also, he's the only reason why I fell in love with figure skating (and why I even know what it is). 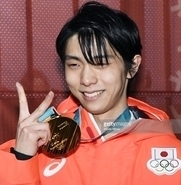 I mean, I became a Yuzu fan in 2016 -when I was 16-, until then I had never watched a figure skating performance in my life and I obviously didn't know the name of any skater. 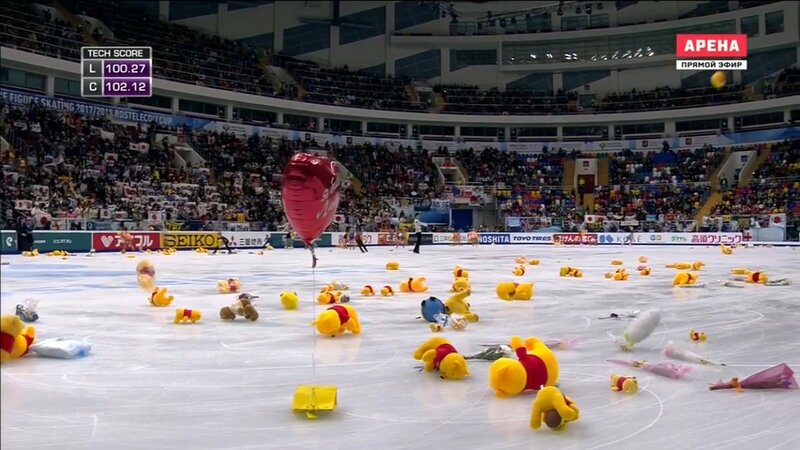 I had never seen this sport on tv or in real life, I didn't even know that "ice skaters" could jump. I never imagined I could be such a fan of a winter sport. Every other South American FS fan I know has been introduced to the sport thanks to Yuzu. Also, we could write down anecdotes of our positive experiences as fans - how we've felt while watching him perform -all the times we've cried of joy and been inspired by him-, the friends we've made thanks to him, etc. He's probably received millions of messages such as "we love you", "cheer up", "we support you", which are amazing; but I think that describing the impact that he's had on so many lives through real-life examples could be more substantial and unique. Another idea I'd love is a photobook. With photos of where fanyus live, photos of the most special moments of his career, letters, messages from fans, etc. We know Yuzu likes keeping journals and notebooks so he probably would appreciate it.